Although we no longer have a dog (sadly she passed away), I do know many people who love taking their pets along with them while caravanning around Australia on a long term basis or even on short trips. In our experience staying at various camp sites, we never found a noisy dog disturbing the peace and quiet. They were all very well behaved and no doubt loving life on the road as much as their owners! Take a look at our Pet Friendly Caravan Parks page which we are adding to regularly, to find out if there is a suitable park available in the area you are wanting to visit. 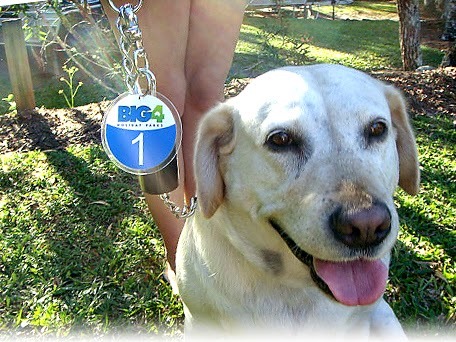 Also, did you know that the Big 4 chain of caravan parks now have selected parks where they allow animals? Please leave a comment below if you have stayed at a park you would recommend for others to take their pets.